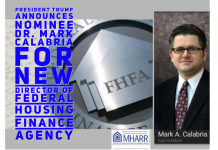 The Department of Housing and Urban Development, on March 20, 2019, held the latest in a series of “HUDdle” conferences with invited HUD-program stakeholders. 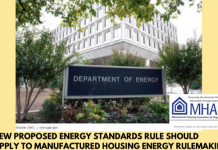 The conferences, which are an initiative of — and hosted by — HUD Secretary Ben Carson, focus on emerging issues at the Department, including, but not limited to, aspects of its ongoing regulatory reform process. 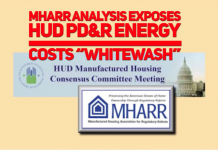 MHARR’s president emphasized the urgent need for HUD to address and resolve two key issues that continue to suppress the availability of inherently affordable manufactured housing for millions of American consumers, and the economic growth of the industry. 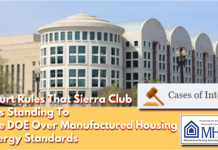 Those two issues are, first, discriminatoryzoning laws that exclude or severely restrict the placement of manufactured homes in large areas of the country. 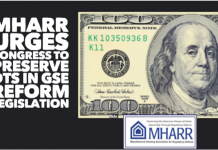 The second is the critical need for reform at Fannie Mae, Freddie Mac and the Federal Housing Administration (under the “Duty to Serve” and beyond), to substantially increase the availability of manufactured home consumer financing (and especially personal property or ‘chattel’ financing) to market-significant levels.